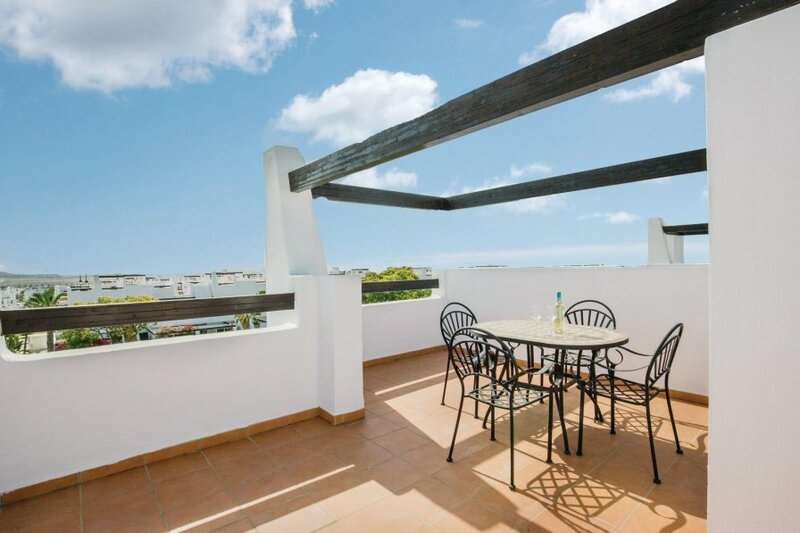 This is a practically furnished apartment with a great roof terrace and sun loungers for sunbathing. It is located close to the shared pool and the sports facilities. "This comfortably furnished apartment has a flat-screen TV and also provides air conditioning in all bedrooms. 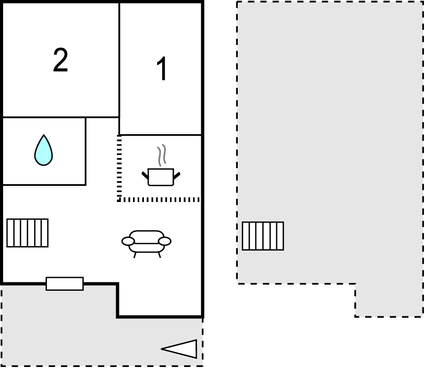 The two bedrooms are well decorated. Relax on the private terrace or in the small garden with garden furniture. The Condado de Alhama is a first-class Golf Resort, with a total area of 9,000,000 square metres and an 18-hole golf course specially designed by world-class golfer Jack Nicklaus. It offers sports enthusiasts a wide range of leisure activities such as tennis, paddle, squash, football courts and much more. The area located around the golf course, with beautiful gardens, numerous playgrounds and less traffic within the gated complex, is an ideal environment for families with children. In the Al Kasar shopping centre, a building with astounding architecture, there are bars, restaurants, supermarkets and golf shops." Please note: construction work nearby from 13/01/2018 until 28/02/2019. This solidly constructed modern apartment was recently built in 2008. The agent has rated it as a four star property so it is a well-equipped apartment with above average furnishings. It is also great value for money. This apartment has use of a shared pool and is located in Condado de Alhama, only 12km from Alhama De Murcia. The nearest airport is 80km away. It is set in a good location: there is a restaurant only 300 metres away. A marked trail more than 10km long.